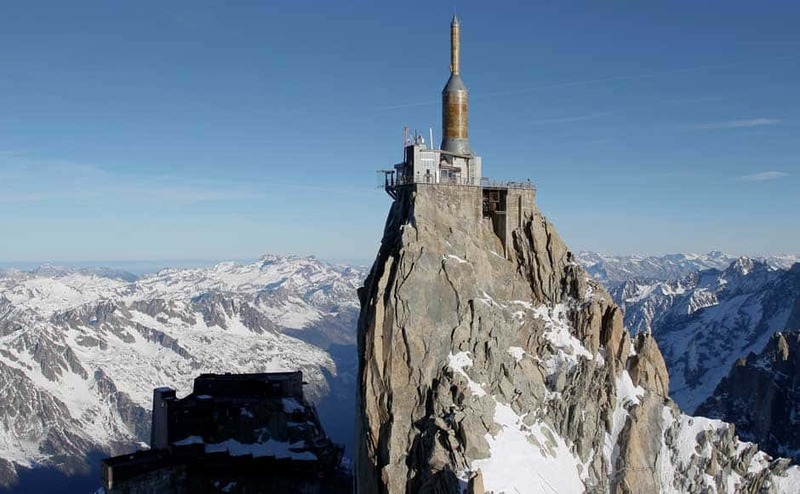 The Aiguille de Midi - the rocky peak, standing at 3842m, is known the world over for its magnificent 360 degree panoramic views and its unique high mountain setting. 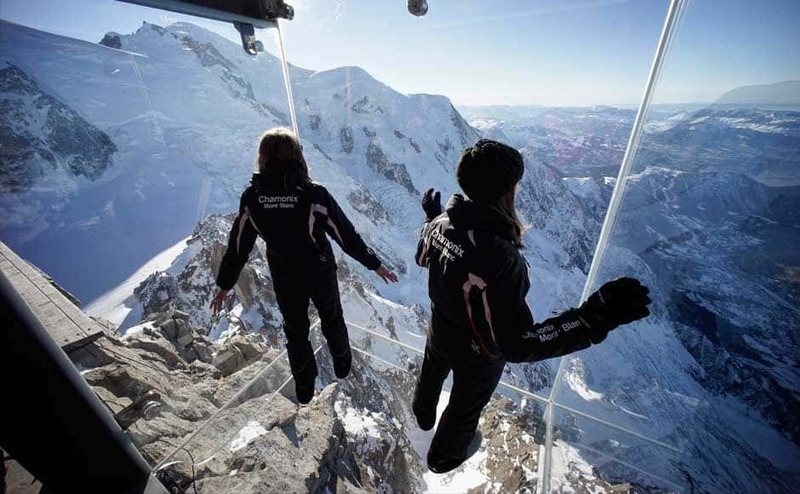 The Chamonix Skywalk is a five-sided glass structure installed on the top terrace of the Aiguille du Midi (3842m), with a 1,000 metre drop below, where visitors can step out from the terrace, giving the visitors the impression of standing in the void. 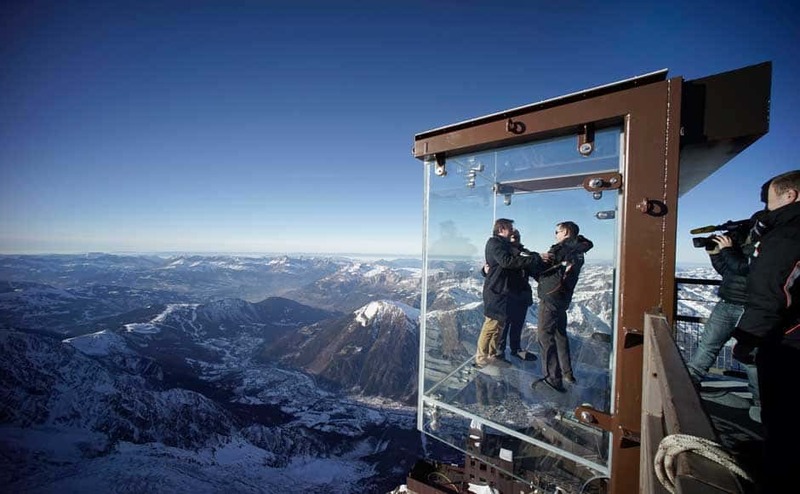 On Tue 17 Dec, the glass room was revealed to the press: journalists and employees, wearing slippers to protect the glass floor, visited the 'Step into the Void' installation as they attend a press visit at the Aiguille du Midi mountain peak above Chamonix. 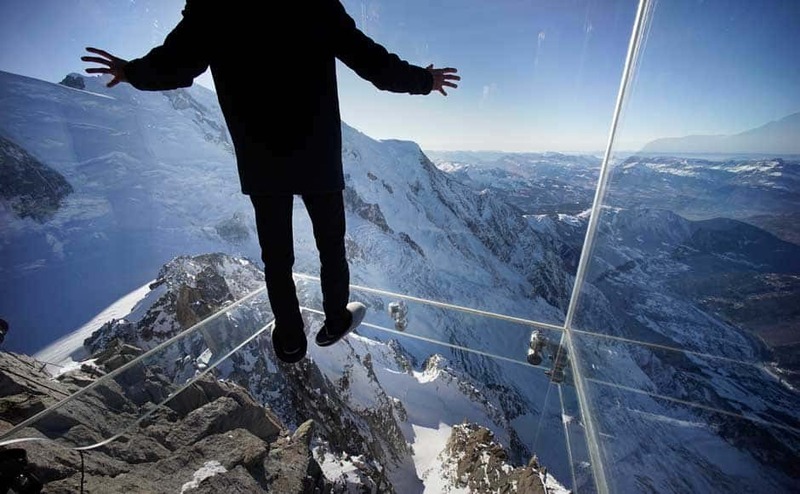 The “Step into the Void” is a glass room built around a metal frame. 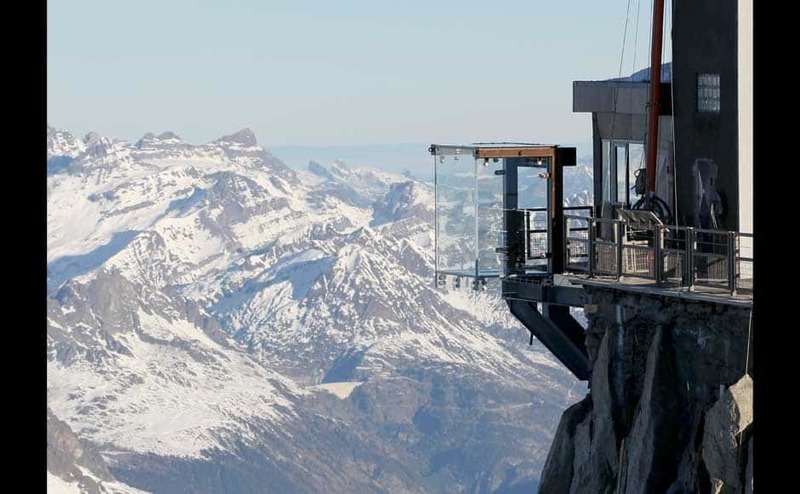 Three glass walls, floor and ceiling panels, allow visitors to control their vertigo and experience 1035 meters of space under their feet in total safety! Each of these glass panels is custom built to the highest standards for safety and clarity. The five glass panels (12mm thick) consist of three layers of glass binded together. The structure can withstand winds of more than 220km/ h and a maximum temperature of 60°. The glass room was opened to the public on December 21, 2013. 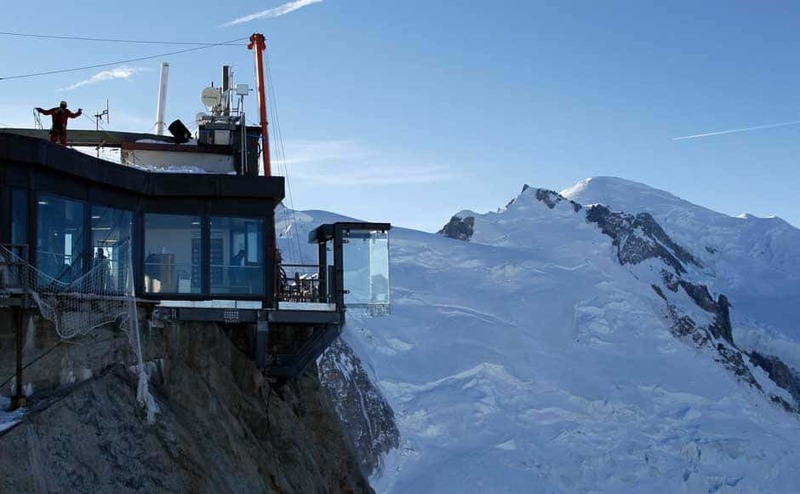 The project was designed by the French architect Pierre-Yves Chays, and took three years to see through to completion. But it's only part of a larger renovation project at the peak that includes the construction of a mountaineering museum that will hold the title of world's tallest museum when it's finished.